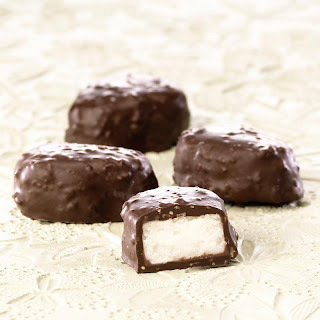 We took our rick dark chocolate and mixed in toasted coconut but we weren't done yet! We then used it to smother a toasted coconut cream center. Twelve petite eggs are packaged in a festive box. If you love coconut, this is the candy for you! 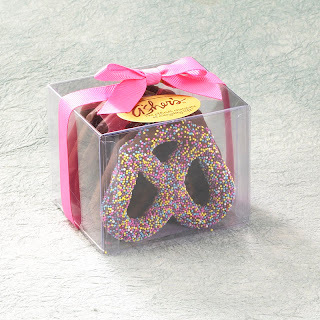 Dipped in pure milk chocolate, packaged in a clear box and decorated with a pink ribbon, these deliciouse pretzels make the perfect gift! Box includes six milk chocolate pretzels, one of them decorated for the holidays with pastel sprinkles.